Home Lifestyle	Big News for Lil-Kid-Things!!! Hey everyone! I hope you had a fantastic holiday weekend. Our family had some wonderful quality time together and despite the fact that I am battling a pesky summer cold, we made some great memories. I know I have been talking about summer a lot lately, but something about Memorial Day just really makes it sink in. Things are going to be a lot of fun both on the blog and in real life and I have some very exciting news to share! I tried to think of a fun way to drag it out and keep you guessing, but that isn’t really my style so I’ll just get right to it. No, I am not pregnant. But the Lil-Kid-Things family just got bigger! We are adding two new writers!! Matt from The Real Matt Daddy and Darcy from Tales From the Nursery have graciously agreed to contribute as part of the Lil-Kid-Things team and I couldn’t be happier. Starting in June, they will each have a monthly column to add some new perspective for parents. YAY! Well, in a nutshell, it means more awesome content for you! It also means a little less work from me, which is a total win. I can spend more time with the boys and you can check out some great new posts. Matt will be writing about parenting from a Dad’s point of view, while Darcy, who just started her 2nd trimester, will share her pregnancy journey with us. I can’t wait to read all about it. This is our very first expansion and I am really excited. Of course, I will still be writing regularly and sharing the super important details of my life with you. You know, like what I am wearing or eating….the life changing stuff. I hope you will welcome both Matt and Darcy and celebrate with us as we take this brand new step on Lil-Kid-Things! As we grow, I would love to get our name ‘out there’. One such way is by word of mouth! If you enjoy reading Lil-Kid-Things, would you take 2 clicks to vote for us on Top Baby Blogs? You won’t need to create an account or anything! Simply click the button below and then the owl on the left and that’s it! If I haven’t said it lately, I just want to thank you so much for taking the time to read. I love sharing my journey with all of you and I feel so honestly blessed to have a place where I can express my thoughts, hopes and failures. I am always looking for ways to make coming here a better experience for you so please feel free to contact me with any suggestions. I am always listening. That’s exciting Andrea. Congratulations. I will look forward to getting to know Matt and Darcy. Welcome Matt and Darcy! You are joining a fabulous blog that I love to read – can’t wait to read your columns! Awesome new about growing Lil-Kids-Things family, even though you are not having a baby 🙂 Great news and can’t wait to know Darcy and Matt better. You know us too well. First thing I thought is that you were pregnant! Congrats on growing with two fantastic bloggers. And I’m off to vote right now. I’m a long time follower of her blog! This is my first time here. Great blog. I’m looking forward to reading Darcy’s posts. So exciting@ Congrats@ Cant wait to hear more!! Congrats on your new additions! 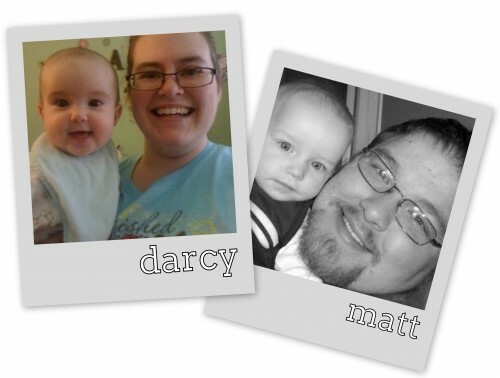 I cannot wait to start following your new writers, Matt & Darcy!